A series of blog posts will be coming your way because there’s so much to share and some things deserve more attention to details than most. Hope you enjoy reading it as much as I enjoyed living it! 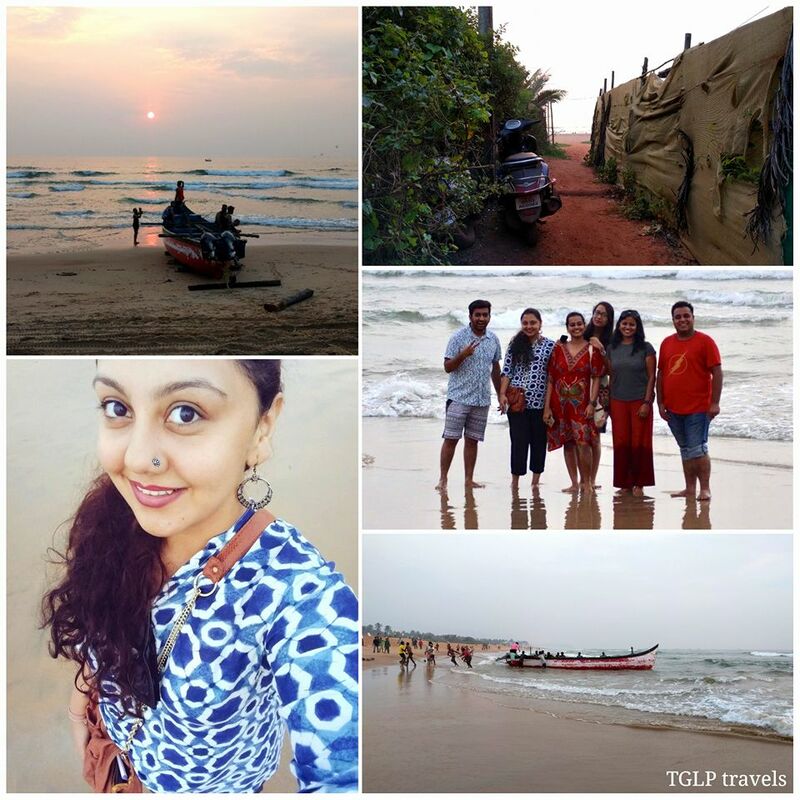 Having recently made a trip back – my second time in Goa, it was unlike anything I expected. With just about 3 days to cover everything on our itinerary, it was overall quite a fascinating trip. An evening by the beach was a given and something we looked forward to the same day we arrived. Walking distance from the newly opened Ibis Styles Resort we were staying at (I’m gonna be doing a separate post about my stay here), there was the ever-so-serene and almost secluded Tivai Beach. Sharing territorial space with the perpetually bustling Calangute beach, I was more than happy to find some “me time” along with the lashing waves for company. A scenario straight out of a movie, we witnessed a boat being set to sail – manually by the local fishermen and it was quite an unexpected vision. Having reached well before sunset, this was our chance to soak in the classic beach vibes along with some setting sun… a sight to behold! 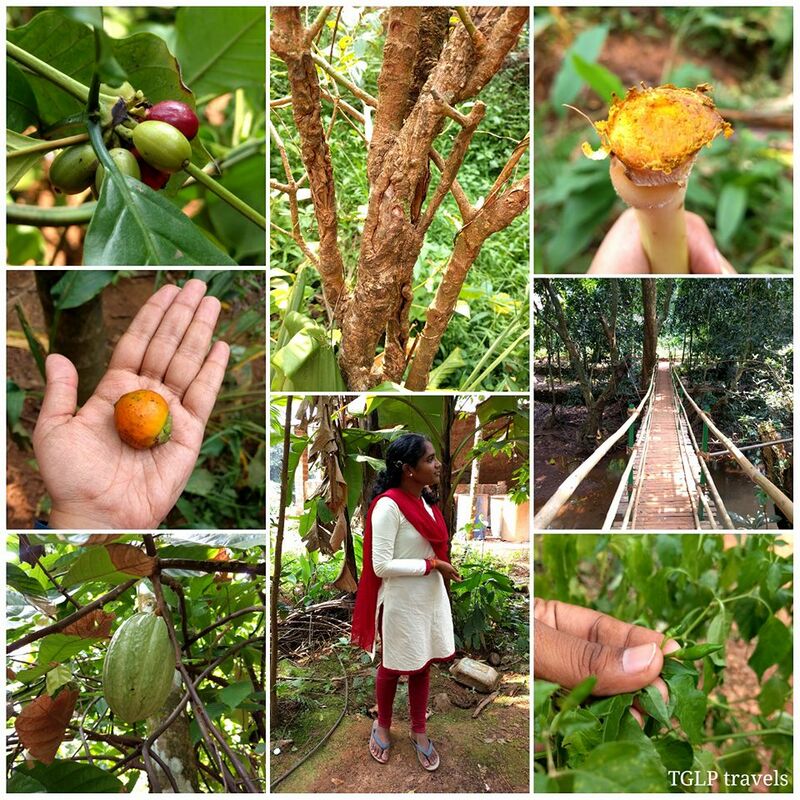 For those who are under the misconception that Goa is nothing really more than its beaches, you guys should check out this spice farm in Ponda and go for a spice trail walk and then savour a traditional Saraswat style lunch. 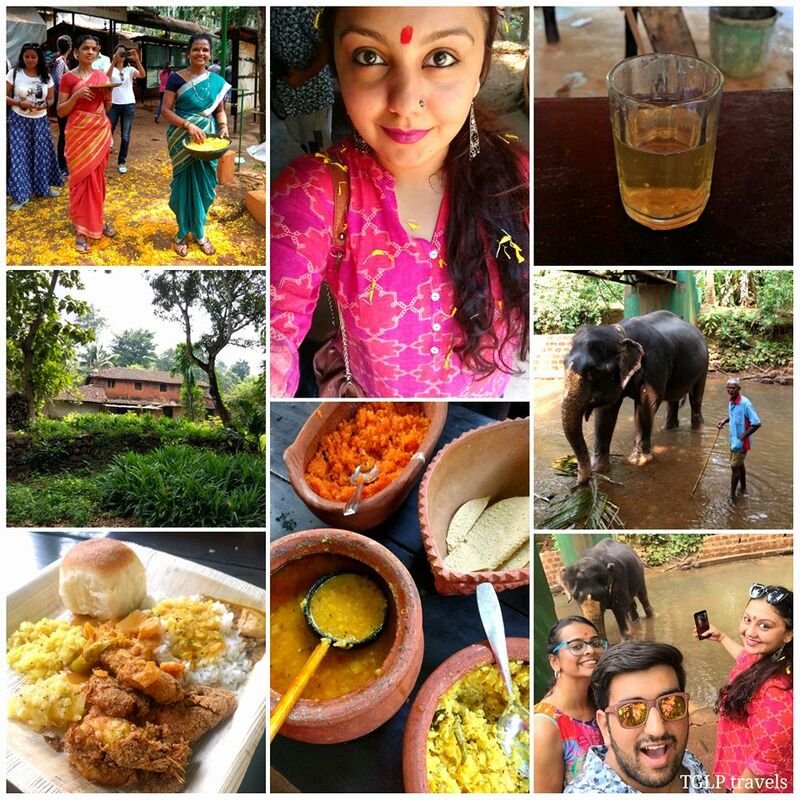 After a traditional welcome by being showered with flowers, some kumkum on the forehead and lemongrass + cinnamon infused tea, it was time to explore this lush green space that’s rich in spices. Veena – our enthusiastic and extremely informative tour guide took us around and gave us some wonderful insight into the world of spices and more, with actual samples and live demos. As we walked passed the various spice plants and trees, we noticed Ganga – the young but not so lil’ elephant (she’s about 35 years old if I’m not mistaken) cooling off in the stream under the bridge. It was a breezy and interesting 30 minute tour around the farm and then a traditional Saraswat meal was on the cards. Wholesome and rich in almost rustic flavours, a part of me felt very much at home… (for those of you who don’t know, I’m part GSB – Goud Saraswat Brahmin from Goa). From fried fish to home-style cabbage sabji and more, it’s a good idea to work up an appetite for this one-of-a-kind meal. Although this wasn’t on our original itinerary, we decided to make a pit stop here as we were crossing Mangeshi village. 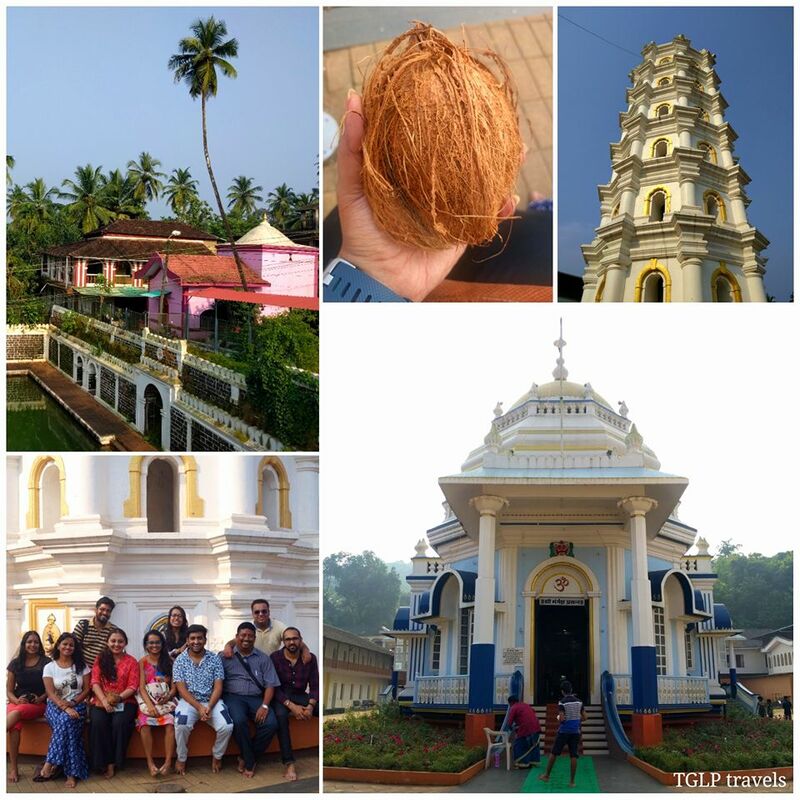 One of the largest temples in Goa, this one’s historic relevance to my family is quite an emotionally strengthening one (it’s my maternal grandmother’s kuldev). The main temple is dedicated to Bhagavan Mangesh, an incarnation of Shiva. Bhagavan Mangesh is worshipped here as Shiva Linga. According to the legend, Lord Shiva had manifested into a tiger to scare his wife Parvati. Paravati, who was frightened at the sight of the tiger, went in search of Lord Shiva and cried out, “Trahi Mam girisha!” (Oh Lord of Mountains, save me!). Upon hearing the words, Lord Shiva turned himself back to his normal form. The words “mam girisha” became associated with Lord Shiva and over time the words got abbreviated to Manguirisha or Manguesh… and now popularly known as ‘Mangesh’. I remember a lot of people telling me that Goa would be quite hot during the month of October (not like it affects the Mumbaikar in me cuz I’m quite used to it) but then that’s why you guzzle down beer and have a maddd time to make it nothing less than a ‘cool’ trip, right? 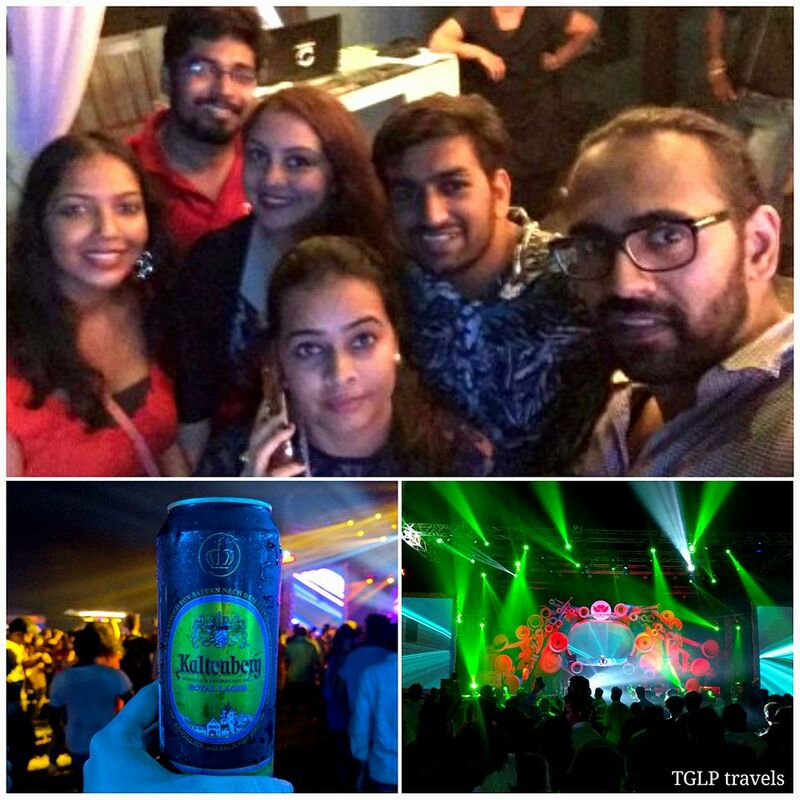 We did exactly that… with great music came great beer and a kickass evening at the Oktoberfest party featuring LIVE performances by Nucleya, Marnik and other international artistes. A hearty Goan dinner at Toto’s after an exhaustive dance-filled night was our solace… and to fuel us up further for a long night ahead. Now this bit of our evening felt like we were doing Goa in the usual spirited way… parties by the beach and more, it’s certainly an (almost been there and done that for most) experience in itself. The evening only got younger as we got a taste of the nightlife at SinQ – one of the popular clubs here. With so much happening in such little time… we were totally basking in the zone and lived it up until it was time to head back to our hotel – Ibis Styles Resort in Calangute and get a good night’s sleep.